All around the media and internet, we've seen the final grades for Green Bay Packers players and staff. Across the board, defensive back Charles Woodson received an "A" grade, and for good reason. He was the NFL's defensive MVP, for cryin' out loud. Clay Matthews: Ted Thompson traded up for the rookie linebacker, but few could have expected the major and immediate impact he'd have in the defense. He didn't start right away, but finished the season as the second-best defensive player, and had 10 sacks and three fumble recoveries. Aaron Rodgers: Sure, Brett Favre is still playing and Rodgers is not. But the second-year Packers starter did all that was asked and more, having one of the best seasons in franchise history. He finished with 30 touchdowns to just 7 interceptions, threw for 4,434 yards and had a QB rating of 103.3, better than No. 4 ever had in green and gold. 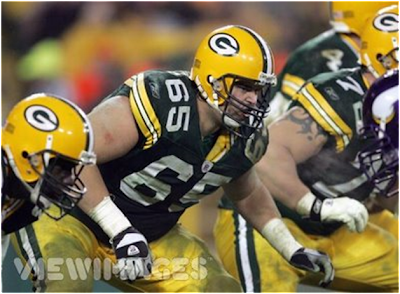 Mark Tauscher: Tauscher wasn't even on the roster until midway through the season, and started just eight games at right tackle. But how much better did the offensive line become as a unit when the Wisconsin grad was in the lineup? It's almost startling the night-and-day difference in pass protection and in the production of running back Ryan Grant with Tauscher in there.